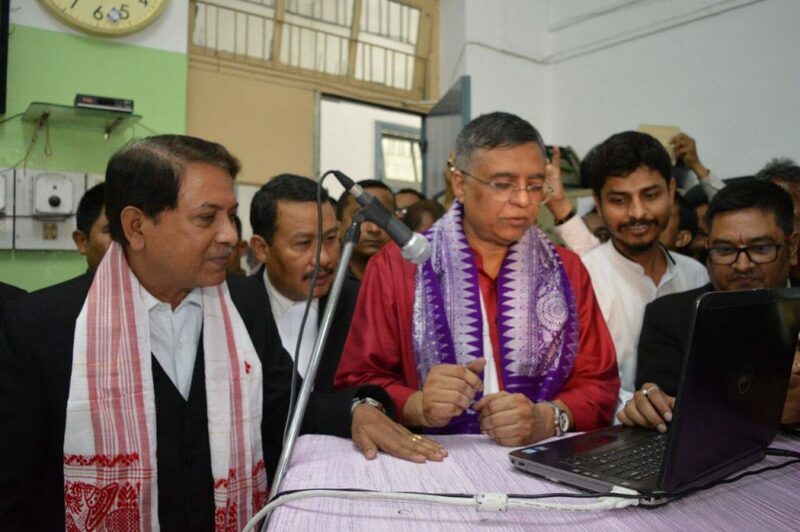 Assam Law and Justice Minister and Guwahati East MLA Siddhartha Bhattacharya, who took charge after securing ministerial berth in the expanded Assam Cabinet, launched the official website of Gauhati High Court Bar Association (GHCBA) during a programme on May 15, 2018. The website www.ghcba.com was a much awaited information tool for the Guwahati High Court Bar Association. The GHCBA, which was established in 1948, was known as Assam High Court Bar Association till 1971. The Gauhati High Court Bar Association is considered as one of the leading bar associations of the country with membership of around 2500 advocates including honorary members and life members.